Editor’s Commentary by Charles Morgan ….. The United States Mint released images of the 2017 American Liberty High Relief Gold Coin on Tuesday, January 12, and the story took off like a steampunk locomotive powered by jet fuel in the mainstream media. In one sense this is understandable, since the new design features a straightforwardly African-American version of Lady Liberty. From the Mint’s framing that this is a first, the story is legitimate news – especially for people who do not read numismatic periodicals or keep up with the latest numismatic products from the Mint. But in another sense, and I say this perhaps knowing the ins and outs of the industry a bit more than most who are not in my position, it’s actually surprising to see our Mint gain so much traction from a story about a gold $100 coin that is out of reach of most casual collectors and will never be found in circulation due to its high intrinsic value. The truth is, our hobby hasn’t been a mainstream pursuit for some time, and the greying of the coin market has been duly noted by dealers and collectors alike. That should be the story. 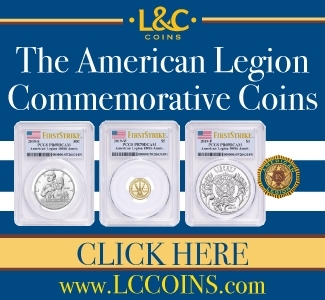 How the planned biennial American Liberty Gold Coin series is not only good for the hobby, because of the media attention this “first” coin has gotten, but that it might also be a sign that the Mint is really trying to break away from the staid coins foisted upon it by Congressional mandate. But that’s not how it’s been covered in the numismatic press, at least not so far. 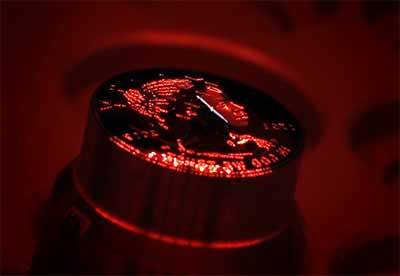 The U.S. Mint prepares a die for the new coin design. Instead, a vocal minority of coin collectors and their derogatory comments have commandeered the story. So does that mean they have a point? Do the comments and the commentators deserve to be taken seriously? Does that mean that it’s anything other than what it looks like – a racist reaction to an African-American on a coin? Well, let’s consider a few points. 1.) The design did not appear “out of the blue”. 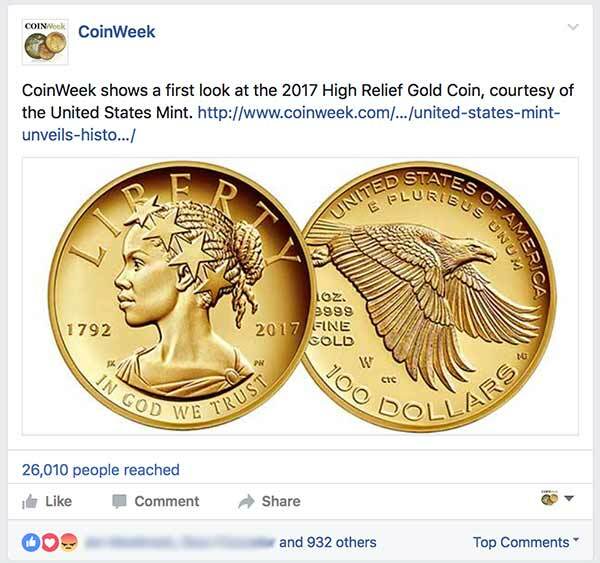 It has been the Mint’s intention to produce this coin and coins like it for a few years now, and it has been reported on before. The new coin is part of the U.S. Mint’s 225th Anniversary year-long celebration for 2017, but that was a happy coincidence. The obverse design was chosen on March 15, with a near-unanimous vote of the Citizens Coinage Advisory Committee (CCAC) (28 out of 33 points). The reverse, a flying American bald eagle caught on the downstroke, won 29 out of 33 points. In my opinion, the winning obverse was the best design among the field of 25 candidates – with the possible exception of HR-O-21-C.
And there’s a reason for that exception. High Relief Obverse 21 was originally in the running for what became the 2016 American Liberty High Relief Gold Coin and Silver Medal. 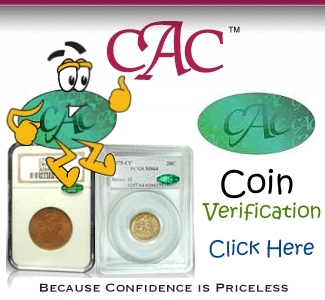 The CCAC wanted the Mint to take a fresh approach to coin design with the inaugural issue of the American Liberty series, specifically asking for new and modern interpretations of Liberty. In the end, obverse 11 was chosen over obverse four (which is what last year’s HR-O-21-C was called two years ago). But a majority of the committee was enamored with the look of design four–and its bold portrayal of an African-American woman. So enamored that they requested it be carried over for consideration in next year’s batch of designs, which it was. Besides, the idea for the American Liberty High Relief gold coin series itself stems from former Mint Director Edmund Moy’s vision for a high-relief gold coin worthy of Augustus Saint-Gauden’s original ideas for the double eagle, as well as the CCAC’s desire to find a numismatic home for a proposed but rejected reverse change for the American Silver Eagle. Nothing about this coin was, or should be, impromptu or surprising to collectors. It was not the last minute work of an outgoing Presidential administration or some misguided effort to redefine what America is. But okay, let’s assume the situation is a little different when it comes to the mainstream media. A media that was decidedly one-sided when it came to the 2015-2016 push by Women on 20s to replace President Andrew Jackson on the $20 Federal Reserve Note, ostensibly because he was a “bad guy”. 2) You don’t have to take the bait. No one is forcing anyone to comment on the coin, look at the coin, or even buy the coin. Leaving negative comments on a website or collectors’ forum is purely voluntary. So why is the vocal minority being so vocal? And yes, it is a minority, because 3) Most collectors have voiced support for the design. Our post on Facebook concerning the coin has over 1,000 likes, and more than 50 people loved it. Forty-plus people on our Facebook post signaled that they were angry about it. The big difference, however, is that those 40+ individuals have vocalized their anger across multiple platforms – in the mainstream press and the coin press. A superficial look at comments sections and message boards would, I believe, embolden those angry about the coin. And history has been changed by the vocal few, so we have every reason not to ignore or downplay what we are seeing. Of course, 4) Some collectors don’t like the design for legitimate reasons. There have been many controversial designs in the past, and several flat-out bad ones. One of the primary weakness of many of the candidate designs for the 2017 American Liberty gold coin was the nondescript, ambiguous ethnicity of Liberty. What High-Relief Obverse 08 (the chosen design) and 21 have in common is an unambiguous representation. From this standpoint, it doesn’t matter what Liberty’s ethnicity was or was not. But despite this, both choices are elegant, clean, and “hit the right notes” for an American coin. I don’t see anything in either design that seems out of place on United States coinage, be it circulating or NIFC. Are the lines not clean enough? Are the proportions off? Is the “negative space” used to ill-effect? Are the inscriptions in a strange, unfamiliar font? No, no, most definitely no, and no again. The faces of Liberty, then and now. Left: a half disme struck in 1792; Right: the 2017 High Relief gold $100. Having these opinions doesn’t make me right. And just because you may disagree doesn’t make you wrong. But are people arguing rationally about coin aesthetics right now? I would welcome the attempt. If you’re so sure that you have the secret sauce in terms of good design, you are more than welcome to lend your expertise to the CCAC. They routinely have openings and will gladly take a look at your resume the next time one opens up. Besides, like it or not, people still collect hideously-designed coins. But trust me, this isn’t one of them. So ultimately, whether it’s your style or not, 5) this design is great for the hobby. People–lots of people–are talking about a coin. An industry our size can’t buy this kind of PR. If it’s not your thing, if you don’t like the design… even if you, in this day and age, find it difficult to accept that Liberty is an idea and not one ethnicity or another… then you are still benefiting from the introduction of this coin. Great writing! I have posted similar sentiments on other boards. Agree with you 100%. Thanks for rational thought. Will share through social media. I don’t find the obverse design aesthetically pleasing; that’s why I’m not a fan of this coin. While the mix Greek styling & an African woman are unusual, but the headband with the ridiculously large stars is what I find most off-putting. While I’m a big fan of the reverse, the obverse is more than enough that I’ll pass. Charles, thank you for bringing some calm perspective to what’s become a far too contentious issue. What I find most disturbing are the many racially-tinged comments from posters who have zero knowledge of the broad range of images on our coins, and insist that Liberty has only one “official” depiction that can never be reinterpreted. One has to wonder what their opinions would be of, say, the Matron Head portrait … or the Washerwoman. That said, when I first saw this design I had some artistic concerns, especially about the large stars in Liberty’s headband. But the more I look at it, the more I like it and the more I’m anticipating the next coins. I agree with much of what you said, Charles, and personally like the coin esp. now that we can see pics of struck examples. However, your article states that the views of the vocal 40-plus angry folks (I am sure there are a lot more than 40) are represented in both the mainstream and numismatic press coverage, but every mainstream piece I saw said the coin was expected to be popular and did not even mention the negative reaction or the racial discussion that appears in the coin media, which I felt deserved to be mentioned. Can you or anyone else give me an example of a mainstream piece that has any of that? I may well have missed it. Also, I believe it is too soon to really know for sure whether or not, as you suggest, most collectors like the coin. Your Facebook likes may or may not be representative. I would rather see more reaction first and especially the actual sales level before I can say I fully agree with your statement that “most collectors have voice support” for the coin. I find it more accurate to state that at the moment views are divided and not try to assign a specific number to how the split breaks down until we have a better idea. Finally, while there is in a very broad sense some connection between the Liberty program and Moy’s vision, the idea of a Liberty program that specifically aimed at modern versions of Liberty that represent our ethnic diversity came from the CCAC and the Mint of today, and as I see it Moy’s vision did not stray very far from the classic version of Liberty even if Saint Gaudens’ model was an African-American woman. The Saint Gaudens iconography is clearly inspired by Greco-Roman traditions, which is what he studied and was inspired by. I cannot speak for Saint Gaudens inspirations or politics or even the reason why he chose the models he chose for his coins and monuments. 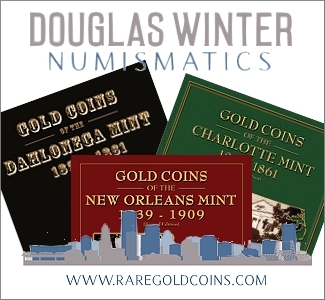 When Hubert and I discussed it in our piece on African American coins – after we discovered the Zorn biography – we put forth that information in numismatic circles because it is not widely known. Further, one can only comprehend to a certain degree the sentiments of collectors without a scientific study. We cite our Facebook likes in the article, which were lopsided in favor of the coin. Our readership is pretty well engaged with us at this point, so as one who pays close attention to these things, I feel that I have a pretty good idea of what’s going on in regards to our audience. Not specified in the article are private comments that I have received, which have been overwhelmingly favorable. These comments come from leading dealers in the industry. I think saying that opinions are mixed gives too much weight to the naysayers. They exist for honorable and dishonorable reasons. Having said that, I believe that the “mixed” reaction that is taking place with this coin now is just the warm up act for what is likely to happen with the Tubman note. This is just my personal opinion. A high relief restrike of the Classic 1795 Gold Eagle design would have been a better choice for the mint’s 225th anniversary. 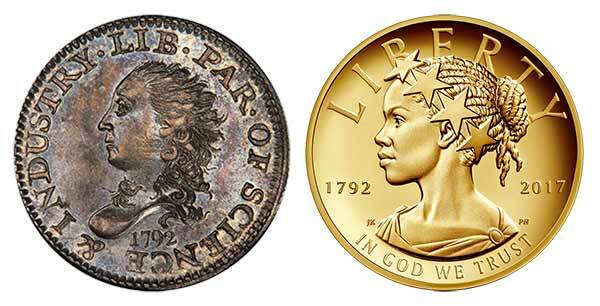 Putting an image of a persecuted and enslaved people on a coin and calling it “liberty” is pandering to a racist liberal elite who think that this will make things better. 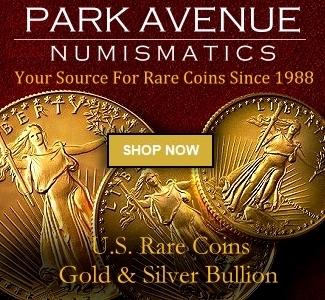 Every other gold coin produced and sold by the US Mint sells out. 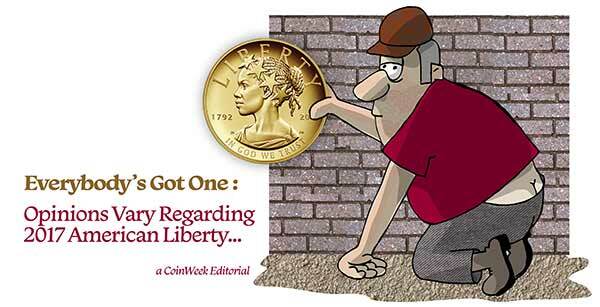 The only two recent gold coins that have not sold out is this “liberty” coin and the other is the “boys town” gold coin. The Boys Town gold coin would have sold out within minutes had the mint put Mickey Rooney on the coin as opposed to the child molester look alike…. 1- we as a society,civilization,species are changing due to soros,Rothchilds etc. the people whom dictate their wealth on a daily basis whether it’s starting a war or selling drugs or keeping all races separate and hating each other..but as they try to keep us ignorant we must understand that we of all color are the same.. so it really doesn’t matter who is on the coin in that sense. 2- as a changing society, if it for the better or worse. It’s great to embrace change. Better who are a little bent of this coin clearly show that they can’t handle change very well and are those who believe that milk should still be delivered by the milk man in glass jars to your door step… although that would be great but who the hell can you trust these days. My favorite liberty is the Draped Bust large silver dollars. Have a date set collected over the years. Have some rare die strikes. I really like this African American silver dollar. The Liberty has a bold art Deco look to it. IMO it is a great looking coin both obverse & reverse. One of my favorite American coins is the Walking liberty Half. I wish the modern silver eagles that use the obverse walking liberty would use the original reverse on the half dollar that looks much better than the puffy looking eagle on it now.